Have you heard the history of Shina Rambo? Who is this person and why is he so famous in Nigeria? No, he is not a celebrity. He is not a singer as well. And he is not an actor. His story isn’t too common, which is really good for the whole nation. Many Nigerians are very afraid of the return of Shina Rambo. Is Shina Rambo still alive? How did he become so famous? Why are people scared of the sudden revenge of Shina Rambo in 2018? It is true that he is now a part of the history of Nigeria; however, he is mainly the ‘worse’ part of it. Shina Rambo was an armed robber. He can be easily called one of the most notorious in the country’s history, even though there are many other Nigerian bandits who committed even bigger crimes than he did. Do you want to hear the true story of Shina Rambo? We should note that this may not be the happiest story because there are many unpleasant details. There are rumors about the return of Shina Rambo. We will discuss this as well. Could this bandit really manage to change his life and return? Could this truly happen? Keep on reading to get all the details. Every country has a list of its armed robbers who are infamous and dead by now. Nigeria is not an exception and one of the most notorious ‘bad guy’ is Shina Rambo. He committed his crimes in the 90’s, and people who lived through those times still remember the horrific fear that took over their hearts when they heard his name. Imagine the 1990’s. Citizens dreamed about peace and security because of a significant number of criminals on their city streets. Many criminal groups acted like horrible bands from the movies, and Shina Rambo was such a man. He could attack and kill many people at once as if it were a Nollywood blockbuster or a real Hollywood movie with bloody robbing operations, people dying, and police fighting with gangsters. People keep creating new legends and coming up with new details of the history of Shina Rambo. There is a belief that he used special charms to protect himself during criminal operations, and that is why the police couldn’t catch him. Different sources say that he was born in 1958 or 1963. It is believed that Shina’s father was a soldier who didn’t follow the laws himself, had more than one wife (some sources mention that he had eighteen wives) and was a rude and horrible man. They say that one day Shina’s father cut his son with a cutlass, and the child left home, other sources stated the he actually completed primary school before joining robbery gang. Shina started to rob houses and eventually gathered his own gang. Citizens of Nigeria and Benin Republic were afraid of the robber and his dangerous and bloody actions. 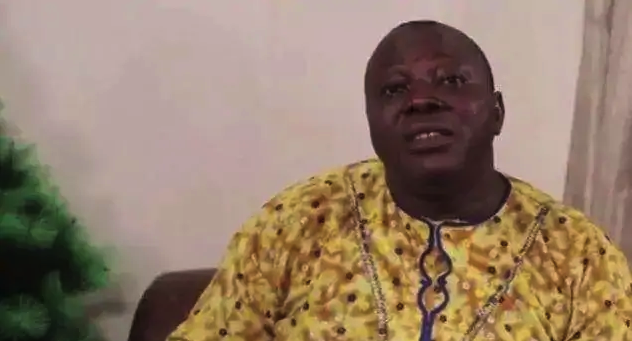 However, some sources claim that this notorious and one of the most famous Nigerian criminals had a wife and several children who were rumored to die in unexplained circumstances. Was it true? We don’t know this for sure, because most information about Shina Rambo is based on anonymous sources. We also don’t know if this was for real, but people say that Shina managed to rob 40 vehicles on the same day and even drove them all from Lagos (Nigeria) to Cotonou (Benin) without being caught by the police. Another legend tells how one day Shina Rambo ran away from the police by using the help of the crowd. It was as if his car was closely followed by the police, so he threw away millions of Naira out of his car window into the crowd making people gather the banknotes and giving him some precious minutes to escape. Is Shina Rambo still alive? There are many different versions of the end of the story of armed robber Shina Rambo. Some sources say the police killed him during one of the robbery operations. Others believe his death was pretty ordinary and he was killed by one of his gang members. There are also rumors that he spent 11 years in a prison after being arrested by the police and turned into a pastor after his release. There is also a version that a policeman shot the famous bandit without even knowing who he was. They believe this situation occurred near one of the bridges in Lagos (Ojota New Garage). Shina Rambo was killed after the police stopped the car with a big sum of money in it. The questions followed, and the infamous robber made an attempt to disarm the policeman, and it wasn’t a successful try. 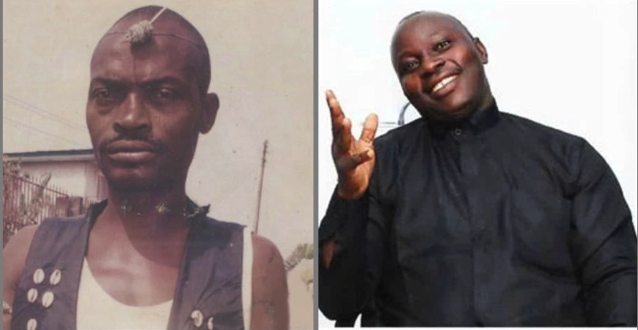 These days in the 21st century when most people believed that the story of Shina Rambo has come to an end, one RCCG pastor, Mathew Oluwanifemi claims he is Shina Rambo and that he has completely changed his life and devoted himself to serving the God. Modern experts assured that this pastor is a fake Shina Rambo because the real criminal that scared everyone in the 1990’s is dead. Nevertheless, these are just rumors that haven’t been confirmed yet. Now you know who is Shina Rambo and what was his place in Nigerian history is. This man used to send fear down all the spines, and we still do not know whether he is alive or dead. Still, many people are extremely afraid of the revenge of Shina Rambo in 2018 or the future. 0 Response to "History of Shina Rambo – Most Famous Nigerian Criminal (Photos)"